Dazzling run was classic Cohen. 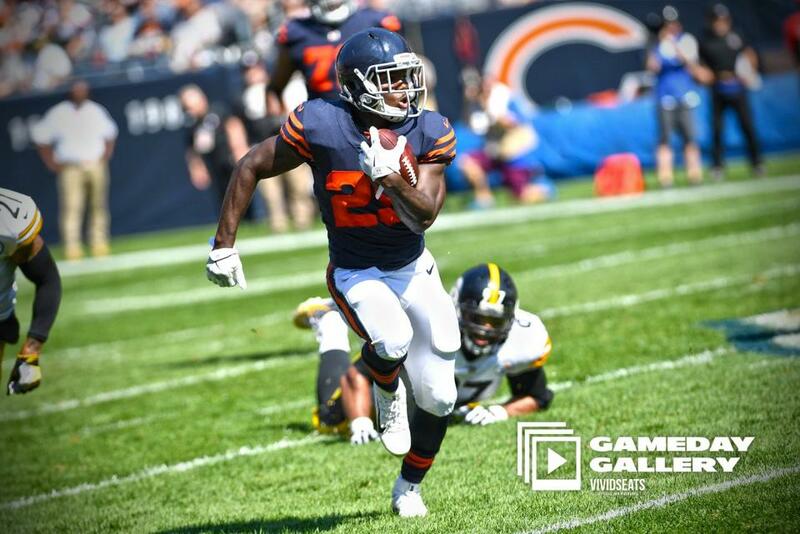 Former North Carolina A&T and current Chicago Bears running back Tarik Cohen scored what seemed to be the game-winning touchdown versus the Pittsburgh Steelers on Sunday afternoon but he was ruled out of bounds. Cohen pulled off more of his vintage “human joystick” moves that MEAC fans are familiar with, reversing course several times on a 74-yard run. Cohen was ruled out of bounds however around the 37-yard line but look at this and judge for yourself. He made it clear after the game what he thought about being ruled out of bounds. “I definitely think I was cheated out of a touchdown. I don’t feel like I stepped out of bounds. I’ve got to do a better job of hugging the sideline without making it close,” Cohen told Bears sideline reporter Lauren Screeden after the game. Cohen couldn’t be too mad, however, the Bears went on to beat the Steelers in OT 23-17. Jordan Howard scored on a 19-yard touchdown run a few plays later to seal the win. Cohen’s numbers on Sunday afternoon continue to reflect his amazing start to the season. He rushed for 78 yards on 12 attempts, which is 6.5 yards per carry. Cohen also caught four balls for 24 yards. He won’t have much time to rest this week. The Bears have a quick turnaround, facing the Packers in Green Bay on Thursday night.